Channel your inner feminine beauty with this elegant set of floral Chloe scents. 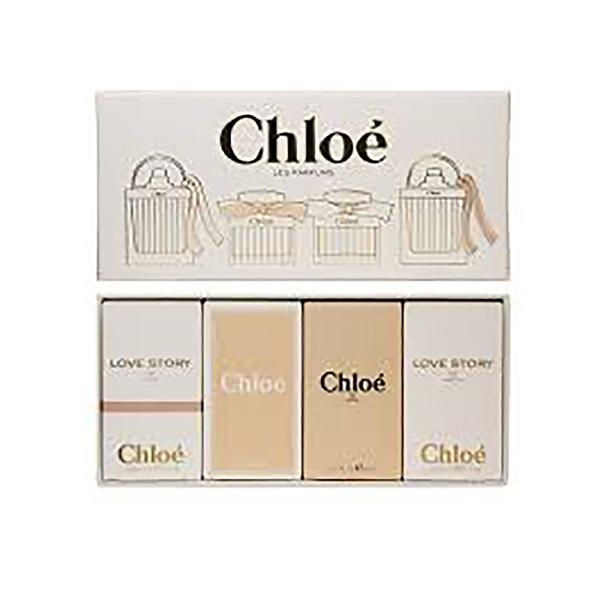 The feminine scent of Chloe Love Story dusts skin in a stunning, delicate blend of fruit and floral aromas, enhanced by fresh Cedarwood at its base, for a blissful fragrance that every woman makes her own. Fall in love with the uplifting floral scent of Chloe EDP, a beautiful combination of Peony, Rose Pedals and warming Ambergris notes.